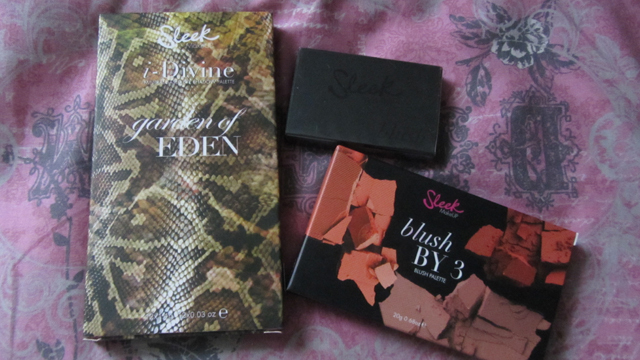 I simply HAD to buy the new Sleek Garden of Eden 447 i-Divine eyeshadow palette. It is an irresistibly pretty spring palette of mauve and green. 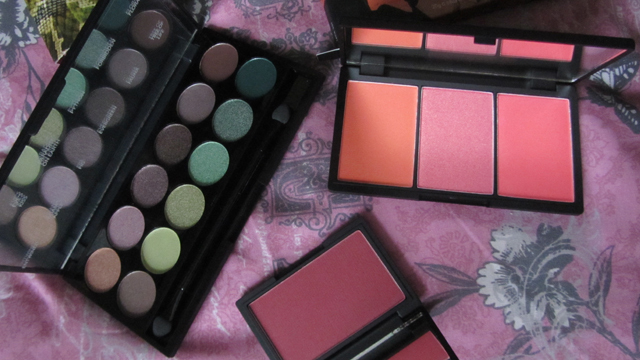 I have a real weakness for Sleek palettes due to the quality and price. I haven’t bought a new palette for ages so it was about time I updated my collection. Once in the Sleek area, I had to go and test everything! I also ended up buying blush in Flushed 935, justified by the fact I don’t have a red blusher. I also bought Blush by 3 Blush Palette in Lace 367 which has a coral theme. There is a dark peach matte blush, a shimmery golden pink and an almost neon orange-toned pink matte blusher. To me, this is a great spring into summer palette. We’ll have to see!